Blue City Mediations’ Workplace Mediation Service was established in 2014 and has been assisting organisations across the Midwest of Western Australia to deal with issues that were impacting on employee relations, employee health and safety, staff performance and organisational productivity. 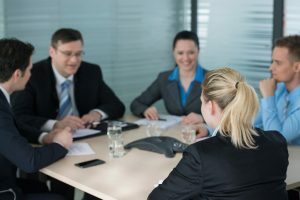 Blue City Mediations has worked with many HR Professionals to establish tailored services to meet individual workplace needs including mediation; workplace training; coaching; conflict management support for HR Professionals and the creation of Dispute Resolution Policies. The process of Mediation brings individuals or teams together with the goal of resolving the issues that are in dispute. Mediators assist parties to reach workable agreements that are consistent with organisational policies and relevant legislation. People can often reach fair and appropriate agreements when all the information is available and they are able to discuss the issues in dispute. The confidential environment of a Mediation allows parties to discuss matters honestly and openly. Blue City Mediations’ Workplace Mediation Service provides professional assistance when workplaces are unable to resolve conflicts. The Nationally Accredited Mediators have extensive training and experience in dealing with workplace issues. The Principal Mediator at Blue City Mediations has a legal background and has previously worked in a national law firm in the Workplace Relations, Safety and Environment Department. The role of the Mediator is an independent, neutral one. While the Mediation may have been requested by an Employer or HR Officer, the Mediator is not representing the Employer or the HR Officer’s interests, and does not promote a particular agenda. The role of the Mediator is to facilitate the Mediation process, enabling the parties to explore the issues in dispute, generate ideas for the resolution of the conflict and ultimately reach agreements regarding how to proceed forward. A party’s decision to participate in a Workplace Mediation is voluntary. The parties to the dispute are informed that they can withdraw their agreement to participate in the Mediation at any time where they believe that continuing is not in their own best interests. The Mediation process allows parties to request a short break for consultation with support people or legal advisers or alternatively to have a private confidential discussion with the Mediator about their concerns in relation to proceeding with the Mediation. 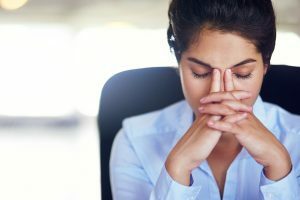 While the Employer may not be a party to a dispute, they will generally still have an interest in the outcome. While the full detail of what is discussed remains confidential to the parties, the Employer may request that any agreements reached are made in writing and a copy given to the Employer to ensure that they are consistent with workplace policies and procedures. The Mediators at Blue City Mediations are unable to provide legal or industrial advice during the process of a Mediation. Parties will be encouraged to seek legal advice prior to or after a Mediation if it is necessary for parties to reach fair and appropriate agreements. While Blue City Mediators are experienced in the management of workplace issues, they are unable to offer legal advice or opinion that may cause one party to feel that the Mediator has lost their neutrality.